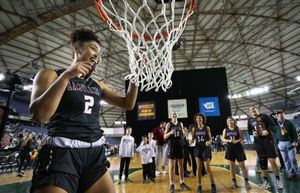 The Islanders are looking for their third Class 3A state title in four years as the state tournament tees off in Eastern Washington on Tuesday. Don Papasedero sees the game of golf differently than most. He is a longtime football coach, coaching 43 years at the high-school and college levels. He currently coaches linebackers at Pacific Lutheran, while also piloting the Mercer Island girls golf team, winners of two of the past three Class 3A state championships. Golf is a game that typically focuses on the individual and the ability to perform under pressure. But Papasedero sees the game as a team sport, one where his athletes can lean on teammates for everything from club selection to approaching a shot. When a golfer joins the team, they are paired with a teammate, usually an upperclassmen, who can mentor the younger player. The golfers remain partners throughout the season, practicing and playing together, giving each a sounding board for in-game strategy. When most teams enter tournaments, they do so based on seeding, which is based on the previous match. 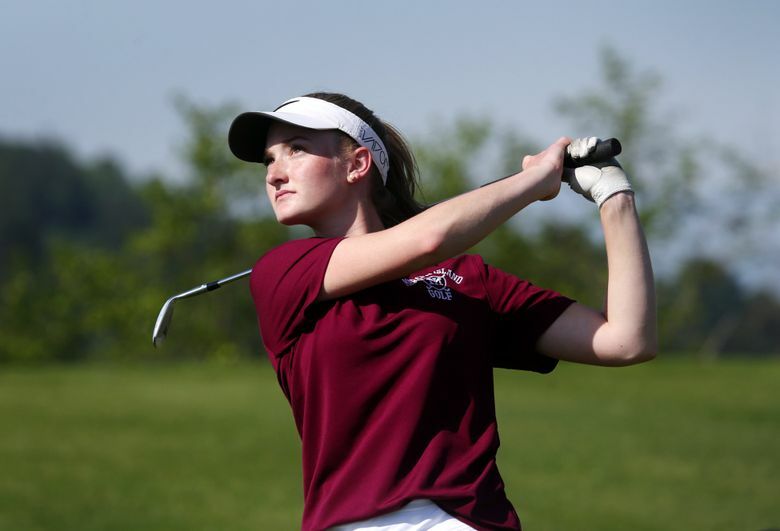 Mercer Island keeps partners together no matter the previous results, meaning the team doesn’t compete against itself to jockey for better seeding. It has produced results. The Islanders won the state title in 2011, 2015, and 2017. 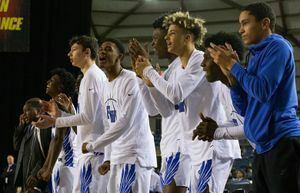 They did not win the KingCo 3A/2A regular-season title this year, losing to Bellevue, but the Islanders won it six of the past eight seasons. They recently won the KingCo tournament title for the fourth consecutive year. In addition to the camaraderie, it helps keep golfers focused on the match at hand and keeping their mind off the hiccups that inevitably occur. Warburg and Chen are no strangers to the postseason. 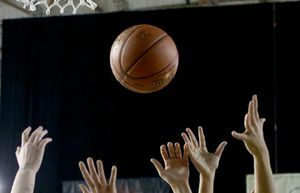 They have competed in the past three state tournaments, and are leaned on to provide leadership and experience. “Walking down to the tee doesn’t faze me anymore,“ said Warburg, who was the Islanders’ top finisher at state last year at 10th. Papasedero keeps track of the girls throughout the school year, seeing how they interact with their peers. He uses this to pair up the golfers based on personality, golfing style and how they get along. He doesn’t have a hard system and rarely has to break up a pairing. 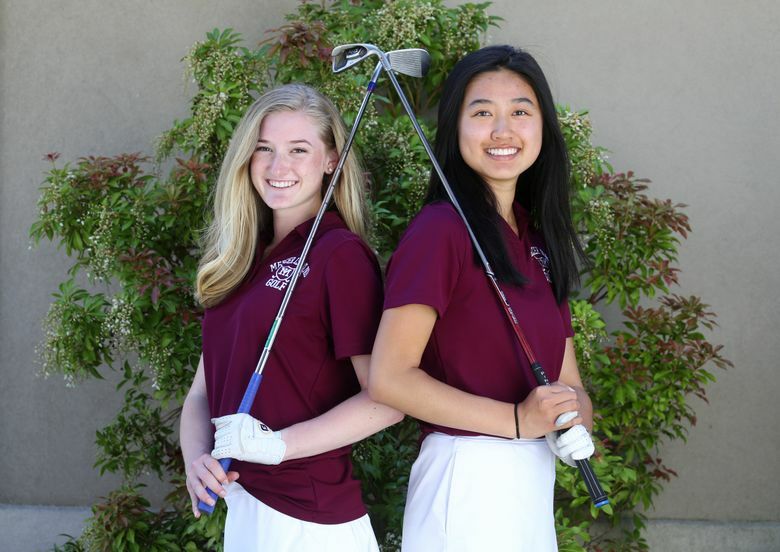 Five Mercer Island golfers, Chen, Warburg, Lilly Pruchno, Annelise Rorem and Gihoe Seo, will compete at the state tournament with Katelyn Travis going as an alternate. As seniors, Warburg and Chen have the most at stake.